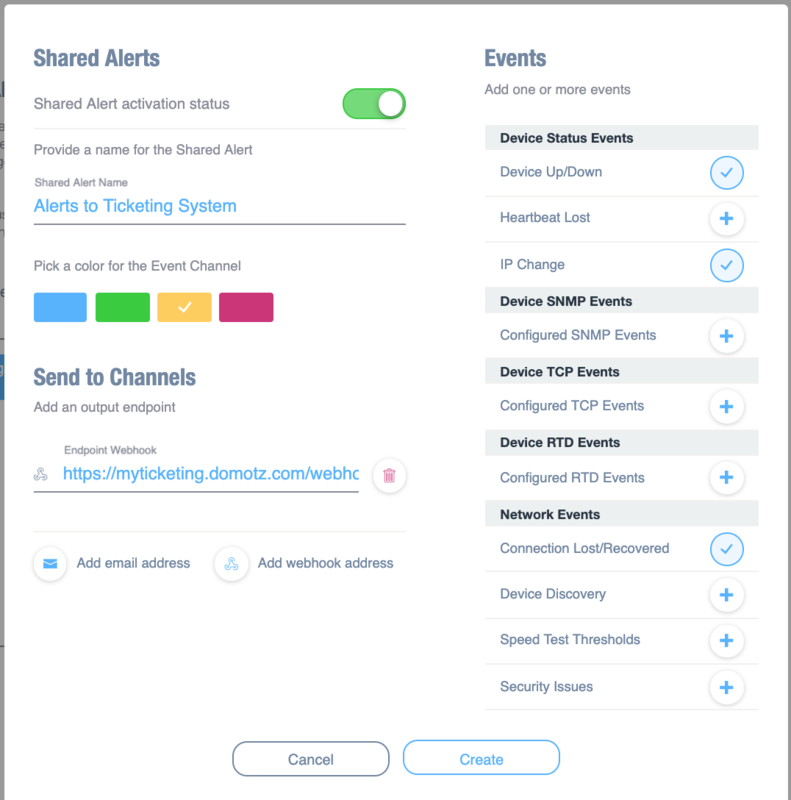 Shared Alerts and webhook: with Shared Alerts, Domotz users can now define events for which the entire team would like to receive notifications either through emails or webhooks. Users can define alert profiles which can be applied either to devices or agents indifferently by any member of the team so that they are shared across the whole team. 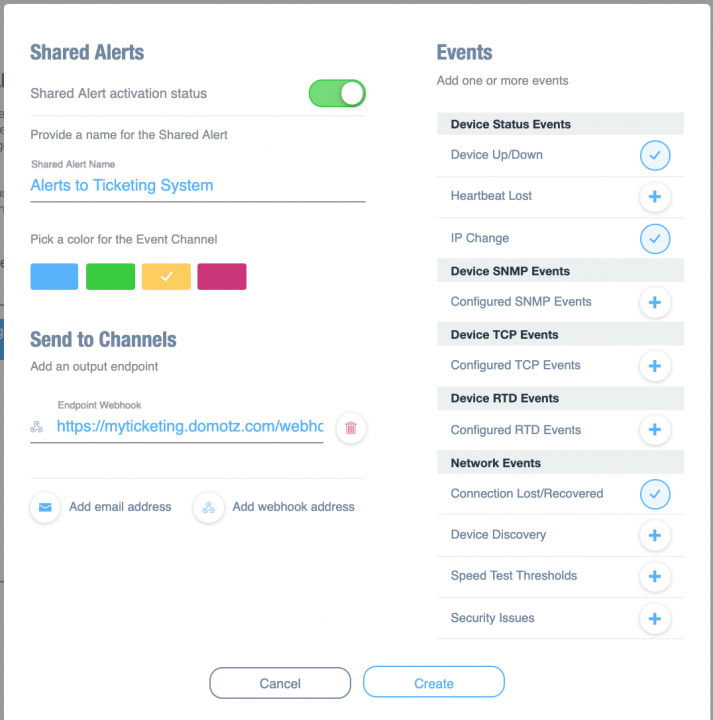 For example, this functionality can be used if the user is planning to feed alerts into a ticketing system or if he wants to send email alerts to an email address which is not configured as an account within Domotz Pro. This capability is available on Agents configured with the Premium Plan. Define a shared alert profile: It is now possible to create an Alert Profile using the available device or agent events already available within Domotz Pro (Agent disconnection, Device Online/Offline, Device Heartbeat, etc). Within the profile, users can also define the recipients which should be notified for those events either in the form of email addresses or webhooks. 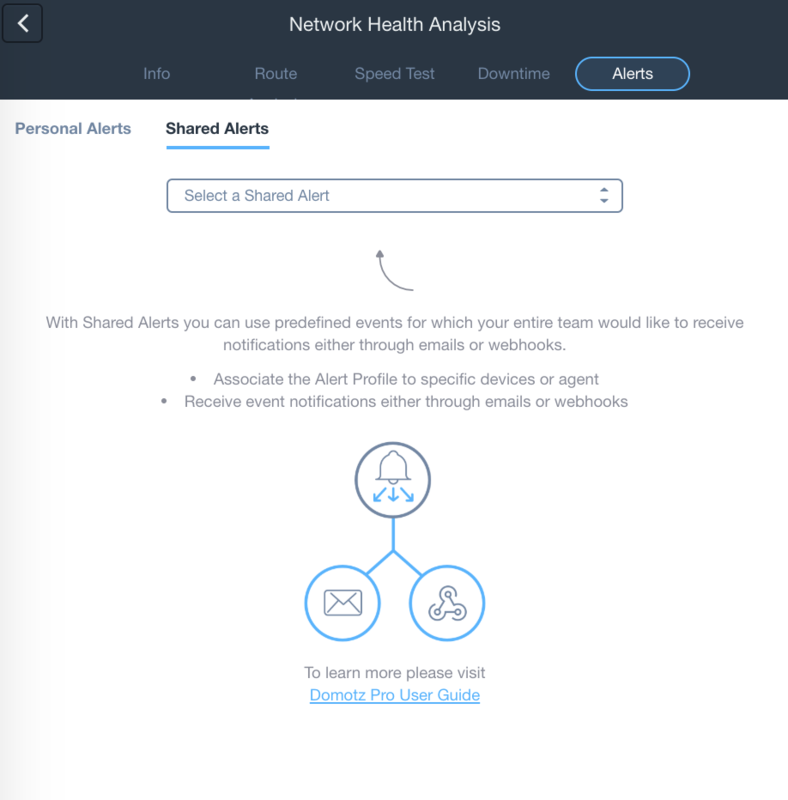 The Alert Profiles created will be shared across the whole team and can be modified in the case something changes in the team or infrastructure. 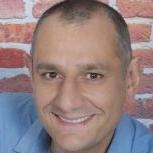 Receive event notifications either through email or webhook: when the defined event occurs, users can be notified either through one or more email addresses (even if those email address are not connected to a Domotz Pro account) or by defining a URL where you want to receive an HTTP callback (webhooks). 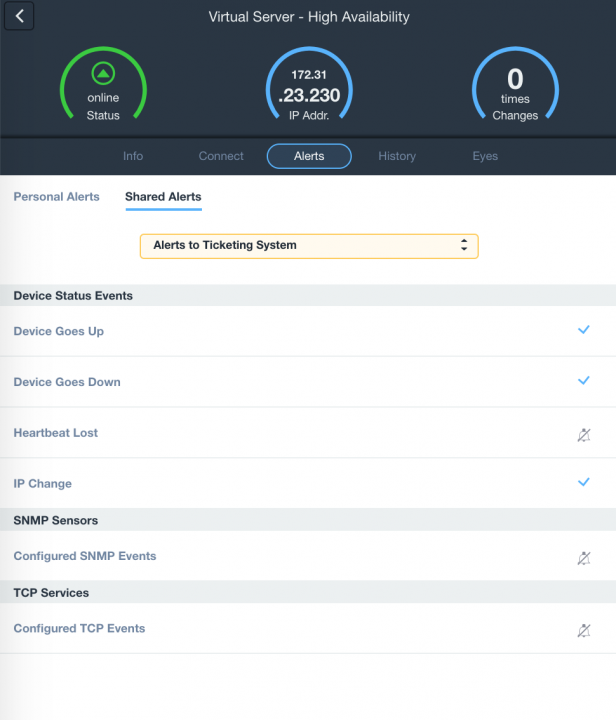 Associate the Alert Profile to specific devices or Agent: Once the shared alert profile has been defined, users can assign that profile to specific devices or Agents. 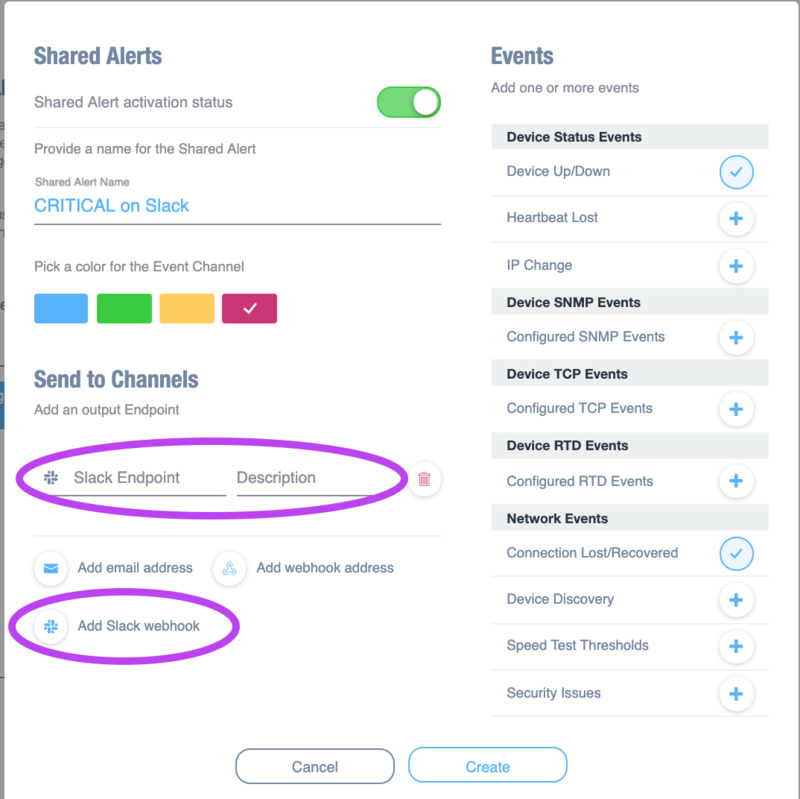 If, for any reason, the user need to change destination email address or URL for the HTTP callback (webhooks), he can just change the alert profile configuration once, and that will be applied to all the devices and Agents associated with that shared alert profile. 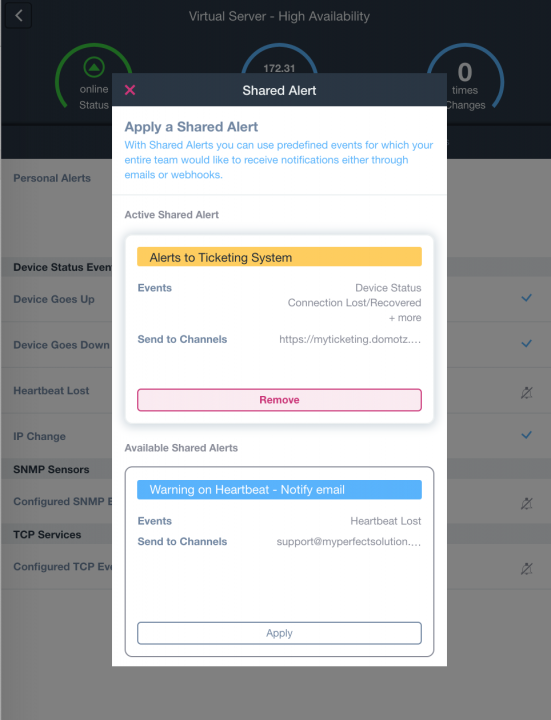 Every single member of the team will have access to the alert profiles, to make the Alert configuration easier and shared across the whole team. Slack Integration: following this guide it is possible to create Slack Endpoint which can be used into the Alert Profile configuration as contact channel. 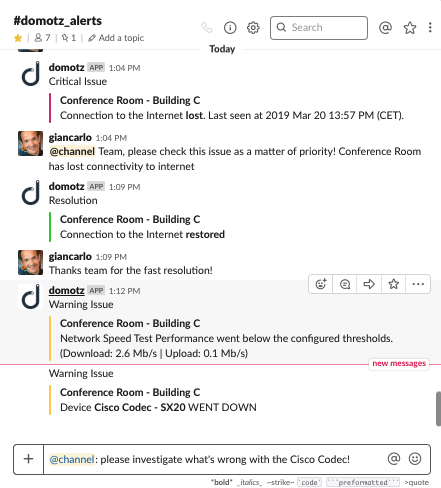 Domotz users can now receive alerts directly on their Slack channels, with color coding which match the criticality of the alert. Device Response Time: this feature is now available to 99% of the Domotz Agent packages available for all the architectures (including Synology and QNAP NAS, Raspberry with SNAP package, Windows Agent, etc). Premium plan is required. Public API: Datetime in filter parameters don't accept timezone. Documentation fixed. Public API: missing X-API-Key in access control. 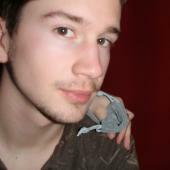 Due to the issue the usage of Public API was limited on some programming languages. CyberSecurity feature: a wrong icon was shown when UPnP scan was paused.